Many Bible interpreters assume a biblical text has only one right meaning and that it can be found if the reader uses the right methods. Charles Cosgrove, on the other hand, recognizes that language often admits multiple meanings and that scholars must deal with several sensible readings. 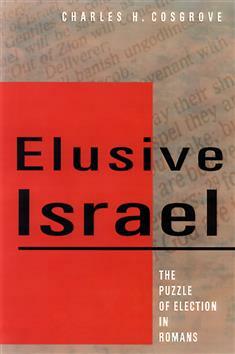 As an example, Elusive Israel examines the identity of Israel in Romans 11, arguing for three equally plausible interpretations.